Parties, Pumpkins, Fancy Dress and a great excuse to stuff your face with chocolate and jelly sweets…Halloween is (literally) bloody great! Like those falling autumn leaves and the arrival of the Starbucks Pumpkin Spice Latte, it’s the celebration that reminds us that summer is well and truly over and in no time at all, we’ll be donning our Bridget Jones style Christmas jumpers while downing too many mulled wines at the office Christmas party. Halloween originates back to the Celtic festival of Samhain. The Celts celebrated their new year on November 1st and this day marked the end of summer and the harvest and the beginning of the dark, cold winter. Celts believed that on the night before the new year, the border between the worlds of the living and the dead became blurred. On the night of October 31st they celebrated Samhain, when it was believed that the ghosts of the dead returned to earth – SPOOKY! The beliefs, traditions and superstitions spread to America with the wave of Irish and Scottish immigrants in the 19th Century and slowly the Celtic ways of Halloween transformed into the Americanised version we know and love today – costumes, decorations and all! Like the old Celts, LOOKLOOK recently took something over to the States…New York City to be precise! 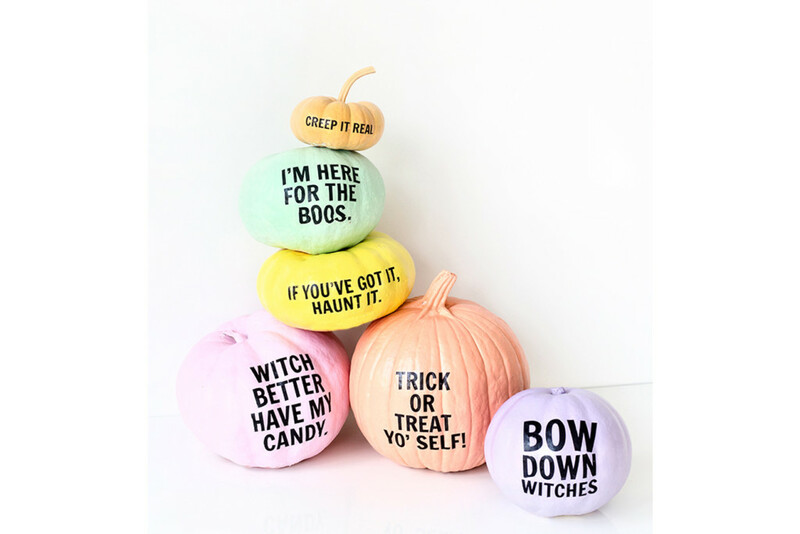 We were asked by US home décor giant, Grandin Road to supply a GIFGIF for their pop-up Halloween shop within world-famous department store Macy’s. The Cult Classic Movies – Hocus Pocus, The Addams Family, The Craft, Scream and Beetlejuice Beetlejuice BEETLEJUICE! The Parties – An excuse to dress-up, eat sweeties and be home way past the witching hour! Pumpkin Carving – Get Messy! Only 8 weeks till Christmas – too early to be thinking about the presents? Nope!